Redwood Regional Park is a part of the East Bay Regional Parks District (EBRPD) in the San Francisco Bay Area. It is located in the hills east of Oakland. The park contains the largest remaining natural stand of coast redwood (Sequoia sempervirens) found in the East Bay. The park is part of a historical belt of coast redwood extending south to Leona Canyon Regional Open Space Preserve and east to Moraga. Redwood forests are more commonly found closer to the coast where the air is cool and humid year-round. In the Bay Area, such forests are found in the Santa Cruz Mountains and the Marin Hills. The unique geographical circumstances of the redwood forest in Redwood Regional Park create coastal conditions. 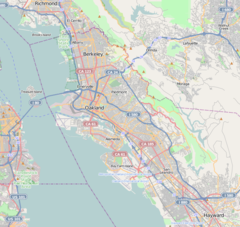 Winds funneled through the Golden Gate flow directly across the Bay and are channeled into the linear valley in which the Montclair District of Oakland is situated. This valley is also well-watered all year round and is protected from extremes of temperature and high winds. Up to the middle of the 19th century, the bulk of the redwood forest lay in the Redwood Creek valley, with extensions to the surrounding ridges. In 1826 British navy captain Frederick William Beechey used the "Navigation Trees", two particularly tall redwood trees along the ridges, to help them navigate in San Francisco Bay. However, logging from 1845 to 1860 wiped out the original trees, leaving only their stumps. A second logging occurred after the 1906 San Francisco earthquake. In this instance the second growth redwoods (approximately 50 years old) as well as the stumps from the first generation trees were logged, the site of which is registered as California Historical Landmark #962. The redwoods contained in today's regional park are third-growth trees, many of which are over 100 years old. Only one old-growth redwood remains in the area, a 93 feet (28 m) tall tree that seems to grow miraculously out of a rock on a cliff face near Merritt College, which may have survived because it was out of reach for loggers. Popular activities for park visitors include picnicking, jogging, hiking, archery, and horseback riding along the 40 miles (64 km) of park trails. Fishing is not allowed inside Redwood Regional Park. The park offers four picnic sites that can accommodate groups of 50 to 150 people. Advance reservations are recommended. These are reservable and accessible to handicapped persons. Some overnight group camping areas are also available. Reservations are required. A play structure for children is a quarter mile down Stream Trail from the Canyon Meadow staging area. Nature watching is another popular activity. The park is home to rare species, such as the golden eagle and the Alameda striped racer. More common fauna are deer, raccoons, rabbits, and squirrels. East Ridge trail from Skyline Gate, because of a landslide that continues to grow. This trail is open beyond the slide area, and can be accessed from Skyline National Trail. Phillips Loop trail is closed from Eucalyptus trail to the northwest intersection with East Ridge trail ( the closest intersection with Skyline Gate). Multiple large trees have fallen across the trail. These will remain closed until the trails have been repaired and declared safe for public use. 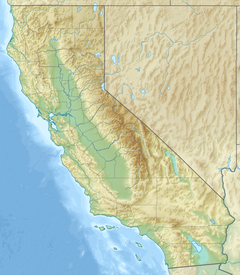 In 1989 Chabot Observatory & Science Center was formed as a Joint Powers Agency with the City of Oakland, the Oakland Unified School District, and the East Bay Regional Park District, in collaboration with the Eastbay Astronomical Society, and in 1992 was recognized as a nonprofit organization. The project was led by Chabot's Executive Director and CEO, Dr. Michael D. Reynolds, breaking ground for the facility in October 1996 with construction of the new 88,000-square-foot (8,200 m2) Science Center beginning in May 1998. In January 2000, anticipating the opening of the new facility, the organization changed its name from Chabot Observatory & Science Center to Chabot Space & Science Center. The new name was chosen to better convey the organization's focus on astronomy and the space sciences, while communicating both the broad range and the technologically advanced nature of programs available in the new Science Center. ^ The museum was formerly an affiliate in the Smithsonian Affiliations program.The Smithsonian alliance no longer continues. ^ a b Sylvia Linsteadt (January 1, 2017). "Old Giants: The Last Days of Oakland's Redwoods". Retrieved February 11, 2017. ^ Frederick William Beechey (1831). Narrative of a Voyage to the Pacific and Beering's Strait: To Co-operate with the Polar Expeditions: Performed in His Majesty's Ship Blossom, Under the Command of Captain F.W. Beechey ... in the Years 1825, 26, 27, 28 ... Henry Colburn and Richard Bentley. pp. 653–. ^ Balicki, Janet (2011-08-15). "Coastal redwoods in Oakland". The Press Democrat. Retrieved 2018-04-29. ^ a b c [http://www.ebparks.org/parks/redwood "Redwood Regional Park." Official web page. Accessed May 9, 2017. ^ "Chabot Space and Science Center". Affiliate Details. Smithsonian Affiliations. 2011. Archived from the original on September 29, 2011. Retrieved July 15, 2011. Wikimedia Commons has media related to Redwood Regional Park. This page was last edited on 4 March 2019, at 05:42 (UTC).